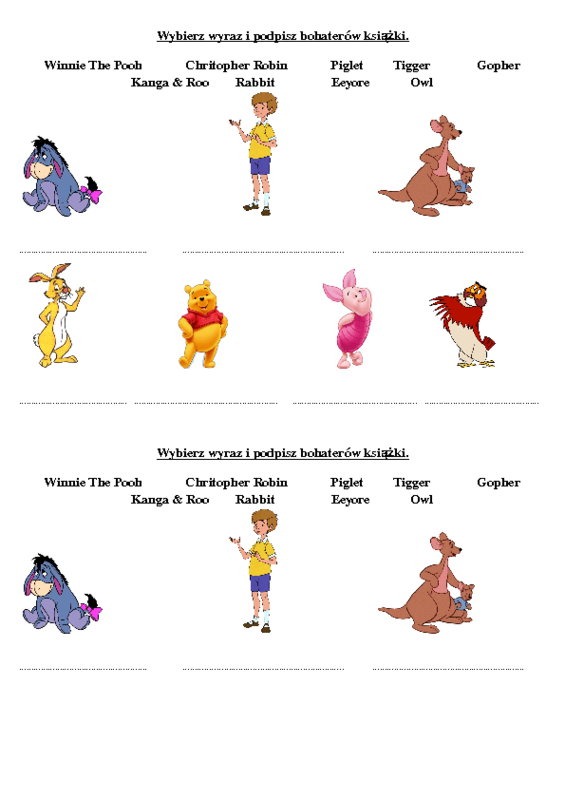 Three nice and easy worksheets connected to beloved Winnie the Pooh book. It is intended for young beginners. 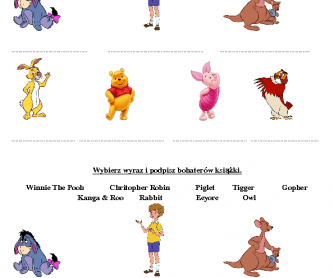 You can choose the task: matching the picture with the name or finding out the character being described (in two versions). It's useful as a pre-reading task .